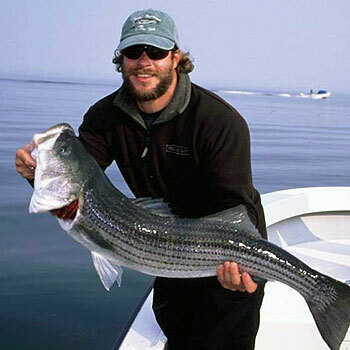 John McMurray is the owner and primary operator of One More Cast - Saltwater Flyfishing and Light-Tackle Charters in Jamaica Bay, New York and serves as the Conservation Chair of the Professional Flyfishing and Light Tackle Guides Association. John specializes in guiding and fishing Jamaica Bay's 10,000 acres of salt marsh flats just minutes away from New York City. Listen in to learn the secrets of fishing for bluefish in Jamaica Bay and other Eastern seaboard locations. John specializes in guiding and fishing Jamaica Bay's 10,000 acres of salt marsh flats just minutes away from New York City. Striped Bass. Bluefish, False Albacore, Weakfish, and Bonita frequent the waters of Jamaica Bay, Raritan Bay, and Lower New York Harbor John's home waters. After obtaining an undergraduate degree in Political Science from Loyola College in Maryland, Captain John McMurray served in the US Coast Guard for four years as a small-boat coxswain and marine-fisheries boarding officer. After his enlistment was up he was recruited to become the first Executive Director of the Coastal Conservation Association New York, a recreational fishing advocacy group. He is currently the Director of Grants Programs at the Norcross Wildlife Foundation in New York, which has distributed over $20 million in conservation grants since 1982, much of it directly targeted for protection of marine fish and habitat. John writes the Resource Column for Flyfishing in Saltwaters and the NY/NJ Fishwire at Reel-Time.com. He is a regular contributor to Saltwater Sportsman, Shallow Water Angler and Sportfishing, and has had feature articles and/or photography published in Saltwater Flyfishing, Tide Magazine, L.I. Fisherman, Noreast Saltwater, and the New York Times. For more information on John's fly shop, gear and guided trips in the New York area visit his web site at www.nycflyfishing.com.